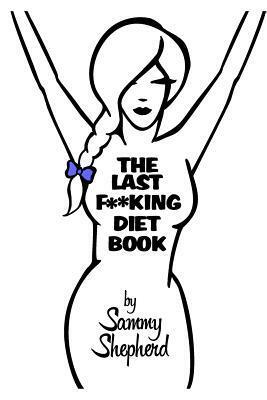 The Last F**king Diet Book is like no other diet book on the market. Dealing with the unique struggles faced by those who seek to lose a large amount of weight, this book provides you with simple strategies that are easily adapted into your current routine. A no-nonsense, often tongue-in-cheek look at the very real issues that are often ignored in more conventional diet books. If all you needed to do was follow an eating or exercise plan, then any of the plethora of books in this genre would work for you. If that were the case, then obesity simply would not be an issue, instead our world faces an almost pandemic of people struggling with their weight. The Last F**king Diet Book was written by someone who has successfully lost over a 150lb naturally; without medication, and without surgery. Using the strategies and hacks developed over years of successful, and unsuccessful attempts, this book offers you real life options, and an intimate view into a world only understood by those who inhabit it. Backed by a free online support forum this is not just a book, but a chance to make connections with like minded souls on the same journey. It’s time to find the others . . . . It’s time to find yourself . . . .